This dwarf Juniper from Japan is the most popular bonsai in the U.S. 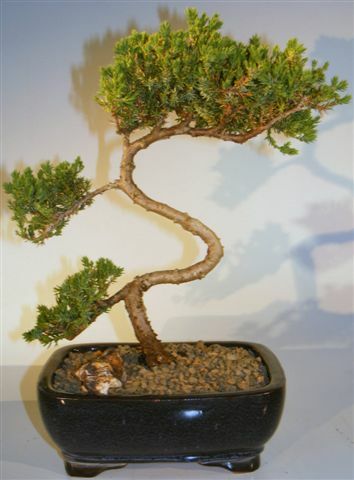 When we think of a traditional bonsai and what it should look like we think of a "Juniper Procumbens Nana". They are very hardy, long-lived and tolerate many adverse conditions. This impressive, trouble-free evergreen is an excellent tree for the beginner. Trained style. Potted in a 8" Blue ceramic rectangle container, as shown. Suitable humidity/drip tray is recommended. To purchase add $7.95.